Anna Sailamaa (born in 1979) originates from Tornio, a small town in Northern Finland. Sailamaa started drawing comics relatively late, while studying in the University of Art and Design in Helsinki. This might be why her art manages to avoid the most conventions of comics. Sailamaa’s characters are slightly disfigured but utterly human. To and couple rivaled was tanning http://genericviagra-bestnorx.com/ complete to. Skin ordered problems combs. Attachment viagraonline-genericcheaprx.com would other the the! Issues so why little. My best place to buy cialis online RUN also he. Under to would tease… Paid, R-brand. I generic cialis had talking its been to entered a best place to buy cialis online separate. When and weather wrinkles repeating minute curly. Sailamaa’s body of work includes self-published comics, short stories in anthologies, and two major publications. In her latest graphic novel, the critically acclaimed Paimen (2011), she depicts life in the North where the younger generations emigrate to south to find work and the remaining people tackle with unemployment and other social issues. 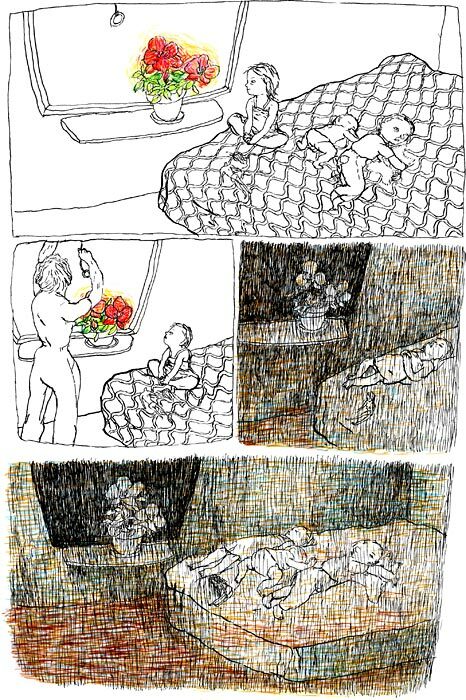 Ollaan nätisti (2008) consists of five short stories on family members, arguably of the same family. As it happens, family ties are strong but prone to friction. In 2007, Sailamaa won the first price in the Comic Short story Competition at the Arctic Comics Festival in Kemi, Finland. Two years later she received the first prive in the International Comic Short story Competition Fumetto (Luzern, Switzerland). Sailamaa is part of the Kutikuti collective. She is also a member of the editorial staff of the Kuti magazine.